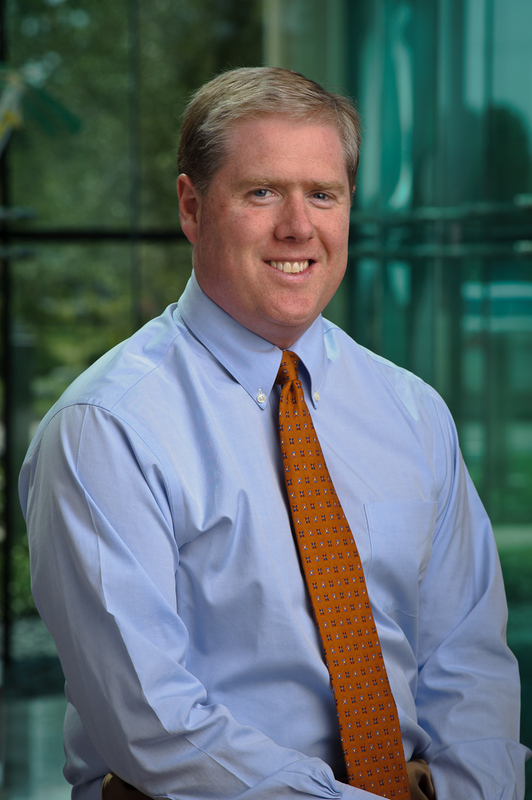 I recently chatted with Sean Morrison, current President of ISSCR, on his goals for the Society, where the stem cell field stands today, top challenges, and the future. What are your goals for your tenure as President of ISSCR? SM: ISSCR is the international voice for research in the scientific community. There’s been less effort though amongst policy makers and the general public. I want to expand the reach beyond just the scientists. ISSCR will be building its capacity to participate in stem cell policy issues worldwide and also it’s capacity to communicate with the public. What’s the plan to make this happen? SM: A range of things. Beefing up ISSCR communications programs. Blogging, twitter and other efforts. What are the main challenges & opportunities that ISSCR faces now? SM: ISSCR has had steady and remarkable growth. It has grown and its scope has grown too. Managing the growth is a challenge. Prioritizing future opportunities. How can we have the most impact for the membership? How can we grow that impact? The annual meeting continues to grow. International ISSCR symposia have grown. Publishing activities have expanded including with Cell Stem Cell and now Stem Cell Reports. We continue to expand those kinds of activities. There is a set of opportunities related to going beyond the science. Our mission is to improve human health through stem cells. We can’t do that solely by meetings and publishing. Those are critical core activities, but there’s more that we can do such as in industry. Reaching out to those stakeholders. Expanding the activities of the Global Advisory Council (philanthropists, Susan Lim, and Deepak), stem cell policy, and communication. How can ISSCR bring in more industry people? SM: I do think more involvement of industry is important. How best can we do that? I attended the Industry Committee meeting at ISSCR meeting in Stockholm, where we had that conversation. I really do hope that we can increase the attractiveness and value provided by the annual meeting to people in industry. We want people talking about exciting unpublished data. One difficulty comes up though in this regard: who from industry is willing to talk about unpublished data? Some people have shown up in the past and are not willing to talk about data. The program committee needs to address that. What’s your view on the evolution of the IPSC subfield? SM: I’m excited about stem cells generally. We need all kinds of stem cell research to move forward. Historically we’ve not been very good at predicting which cell type will work. I’m very excited about somatic stem cell research and pluripotent stem cells, both embryonic and IPSC. Look at the things going on at Shinya’s institute. They’ve been bold at diverse ways that they can have impact. With each year that goes by, the more plausible scenarios arise for possible therapies using pluripotent stem cells. The pioneering IPSC trial in Japan was put on hold. How serious is that? SM: If you’ve been culturing cells, some of the time there’s going to be mutations. The fact that they found the mutations says that the process that they have in place worked. It’s not uncommon in clinical trials for things to go on hold. It’s not unique to stem cell trials or IPSCs. I have every expectation that they’ll get that back on track. What are you most excited about with your own research? SM: We’re doing a lot of work to characterize the HSC niche. We’ve now identified the cells that are sources of the key factors for stem cell maintenance. In many ways the hematopoietic system is a paradigm. This will allow us to understand at a single cell level how the niche works and look for novel growth factors. Each time we identify one of those it has the potential to provide new tools. What do you see as the most important and exciting stem cell development or trend of 2015 so far? SM: We’re at an inflection point in terms of stem cell therapies moving into high-quality clinical trials. In 2008 when we were fighting the public policy battles about where the line should be drawn on ESC research. Also there were people making claims about difficult problems. I was skeptical at the time. I felt that a lot of the problems could be too biologically complicated for cell therapies to work. Yet the science has surged forward much more quickly. There’s really exciting preclinical data and actual clinical trials that are about to start or have started. Spinal cord. Macular degeneration. And others. Some people have spent 10-20 years trying to understand the biology. Parkinson’s with Lorenz Studer. Cell therapy for heart disease with Chuck Murry. It’s important for the general public to understand the timeframe and that some will fail. In the past some were just squirting cells into tissues…sort of like buying a lottery ticket. People now understand the biology better. Now we have a rational chance of success. The spread of stem cell clinics selling non-FDA approved offerings in the US has accelerated. What should ISSCR and individual stem cell scientists be doing to address this growing problem? SM: There’s a lot that you’ve done and we appreciate that. There’s also a lot that ISSCR has done. We have our A Closer Look website. ISSCR has spoken out more on this topic than any other topic relevant to the general public. Although stem cell research has enormous promise—and this is the most exciting time that we’ve ever had—unfortunately most people in the general public don’t understand how long it takes to go from the idea or proof of principle in a mouse to do it in humans. Sadly there are fraudulent people out there that are preying on patients. These are at best unproven and in many cases not even plausible therapies. Where do you see the stem cell field in 5-10 years? SM: We should be excited, but I’m always wary of these kinds of predictions. If we look over the last 10 years there’s been a lot of twists in the plot. There’s been both good news and bad news. Some things have surged forward more quickly and some things that we are most excited about now weren’t on our radar screens then. We don’t really know where we’re going to be. But I’m very optimistic. The thing that we have to remember that we always forget, even when we identify an idea that works, it takes a lot of years to get that to a patient. Look how long it took for bone marrow transplant to develop. We now talk about bone marrow transplant as an example but it took 14 years. We should bear in mind that even if some of the things now in clinical trials are correct, it could take years to develop them in a safe and efficient way. With CRISPR, is GMO also for Google? Sean Morrison has been such a positive force for stem cell research in so many ways. It’s great he is in a position to do so much good as leader of ISSCR. Thanks for interviewing him. Can you tell me if there are any studies being done on stem cell treatment for COPD?